Queen’s MA in Creative Writing (2009) graduate Elizabeth (EM) Reapy, has been awarded the prestigious Rooney Prize for Irish Literature 2017 for her book Red Dirt, to add to her Newcomer of the Year accolade at the 2016 Bord Gáis Irish Book of the Year, for the same work. The €10,000 prize, which was presented at Trinity College Dublin last night (Monday 25 September 2017), is awarded for a body of work by a young Irish writer that shows ‘exceptional promise’. The event in Trinity’s Oscar Wilde Centre for Irish Writing at the School of English, also paid tribute to the award benefactors, former US Ambassador to Ireland and President Emeritus of the Pittsburgh Steelers, Dan Rooney, who died earlier this year. Along with his wife Patricia, Mr Rooney was the supporter of what is the longest literary award in Ireland. Speaking to Queen's University about her latest achievement Elizabeth Reapy said: "I am thrilled to be the recipient of this year's Rooney Prize for Irish Literature. It's also great to have the opportunity to acknowledge the pivotal role the MA in Creative Writing in Queen’s had on my journey. "I arrived in Belfast as a 24-year-old with a big dream but little confidence and zero skills on how to make it happen and went on to having one of the best years of my life. I immersed myself completely in the experience and left Queen's with long-time friends, brilliant memories and most importantly, a strong faith in my writing ability." Literary agent Jonathan Williams, chair of the Rooney Prize selection committee, said: “Although the prize is awarded to a writer on the basis of the literary excellence of a body of work, it is not unusual for it to be conferred when the writer has produced just a single book – as with Colin Barrett and Sara Baume. 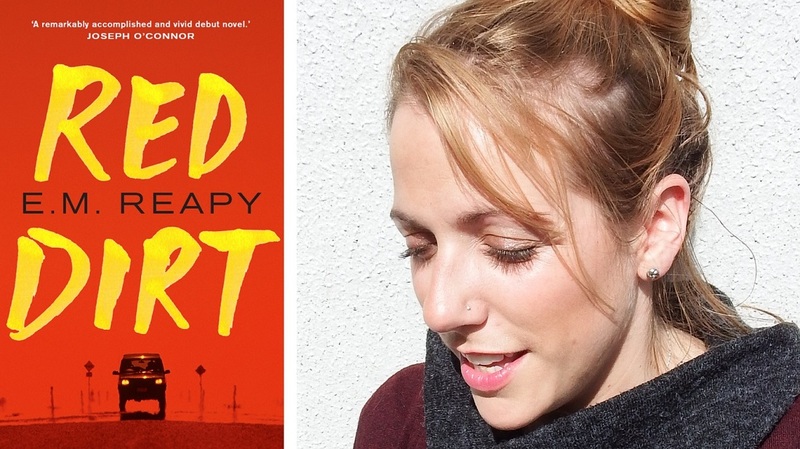 “Elizabeth Reapy’s debut novel, Red Dirt, published in 2016, was reason enough for her to be chosen. The six members of the selection panel read work by 15 to 20 eligible writers, but were unanimous in their choice. Previous recipients of the Rooney Prize with connections to Queen’s University include Medbh McGuckian for The Flower Master (1982), Glenn Patterson, Burning Your Own (1988), and Leontia Flynn, Drives (2008). From Claremorris in County Mayo, Elizabeth has a BA in English literature and history from NUI Galway (2005), a diploma in education from University College Cork (2008) along with a Master’s of English (Creative Writing) from Queen’s, which she earned under the mentorship of Glenn Patterson and Ian Sansom. In 2012 she was the Tyrone Guthrie Exchange Irish Writer in Residence in Varuna Writers’ House in New South Wales, Australia – a decisive appointment given the setting of her award-winning novel. Red Dirt, a gripping tale of loss and hope, tells the story of three young Irish people who have come to Australia, running from the economic ruins of their home country and their own unhappy lives. Stunned by the heat and the vast arid space, they each try to escape their past in a chaotic world of backpacker hostels, huge fruit farms and squalid factories, surrounded by new friends who are even more damaged and dangerous than they are themselves. A spiral of self-destructive behaviour forces each of them to face up to the reality of their lives. Published in 2016 by Head of Zeus, Red Dirt was shortlisted for the Hennessy New Irish Writing Emerging Fiction Award in March 2017 and for the 2017 Kate O’Brien Award. In 2013 Elizabeth received an Arts Council Literature Bursary for her debut novel. She is currently working on her second novel. Further information on EM Reapy – her work, awards and achievements – can be found on her website.